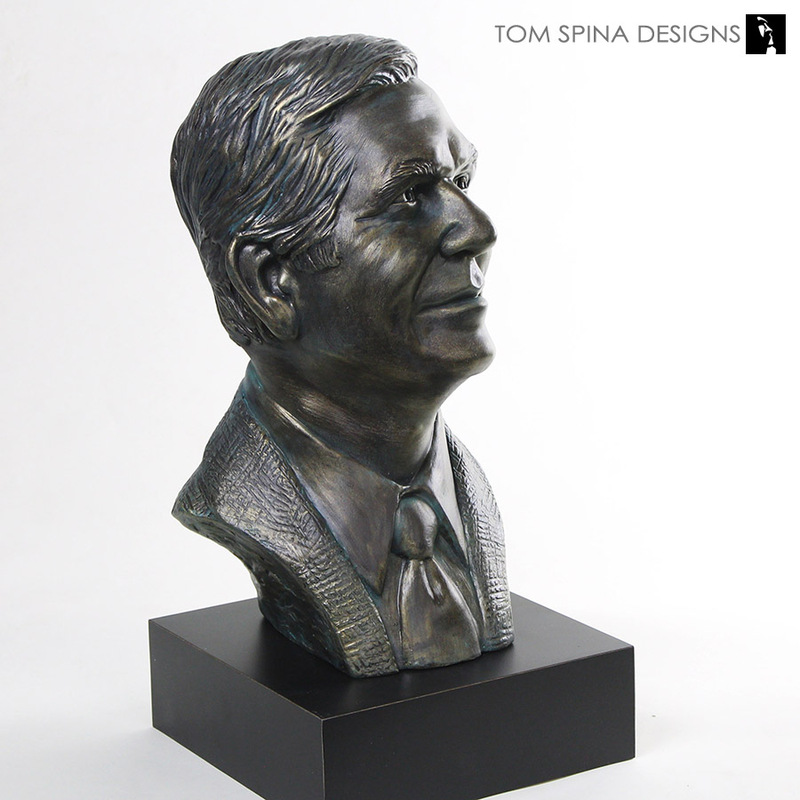 A custom made bronze bust retirement gift created by our sculptors in our New York studio. 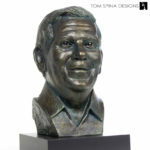 Hand sculpted entirely from photos and cast in lightweight resin that looks like bronze without the weight and cost of the real metal. 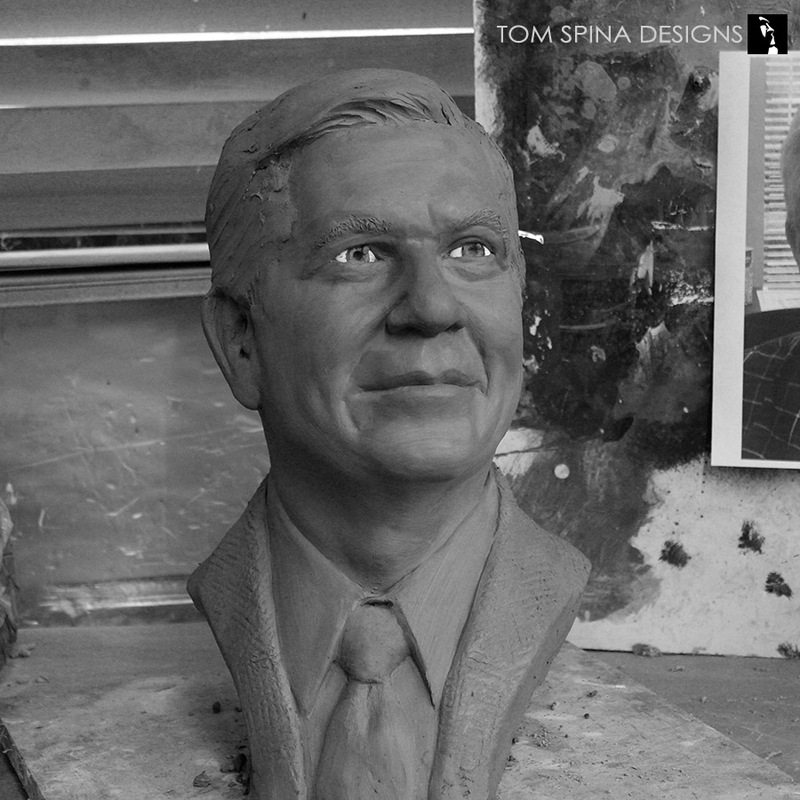 When this fellow was retiring, his coworkers wanted to create a tribute to his years of service. 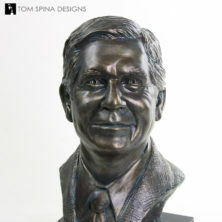 As with most gifts, this custom sculpture was a surprise, which meant we couldn’t just ask him to sit for a series of photos without potentially giving away what we were making. We worked closely with his coworkers and family to get as many photos as possible. Between the photos they provided and their feedback during the sculpting process, we captured the likeness and spirit of their retiring friend! 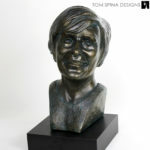 As always, we work closely with our clients throughout the process of creating our scultpures. 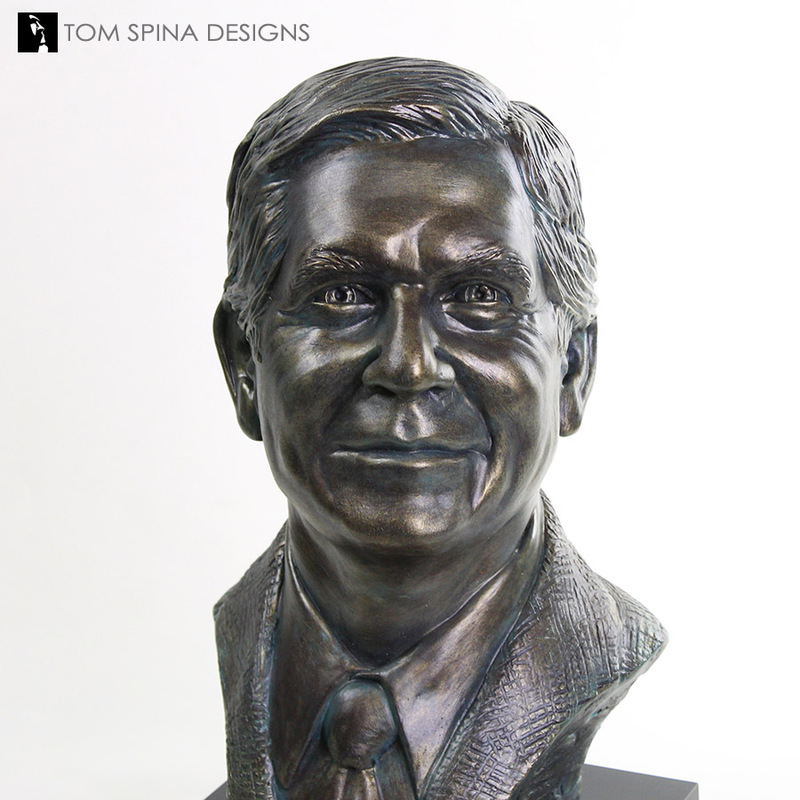 Steve Richter was the lead artist on this creation, and we worked hard to make sure they were happy with the look of the statue, sending photos of the clay in progress and getting notes to help us dial in his likeness. 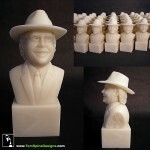 Once the sculpture was complete in water based clay, our clients approved the look and wee moved on to the process of molding in silicone for reproduction in a resin material (similar to fiberglass). From the mold, a resin casting was then cast and hand finished with a faux bronze surface. 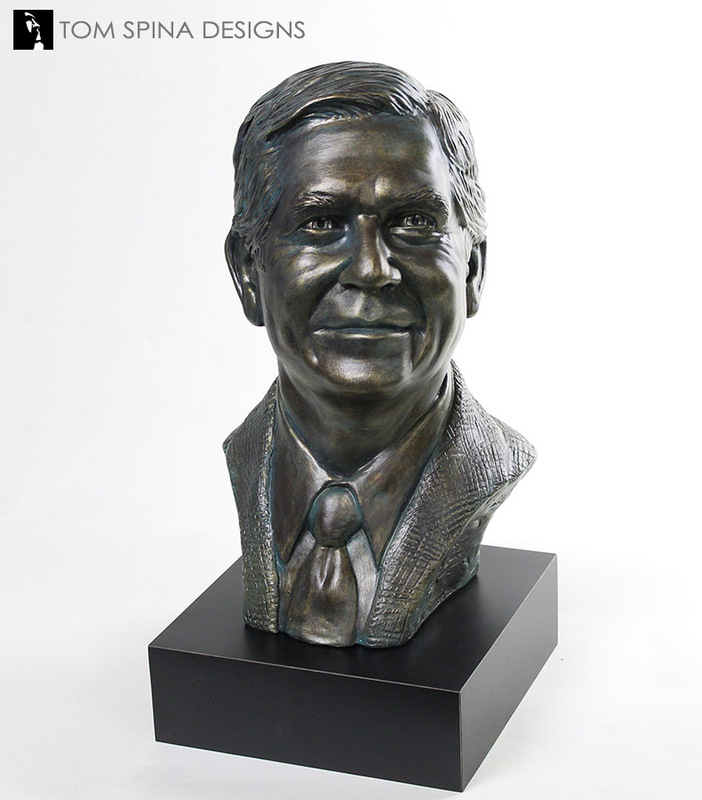 Where real bronze is ideal for outdoor display, our faux bronze resin busts are wonderful for indoor displays, or for those where budget or weight are concerns. It’s always a pleasure to create a unique piece of artwork for someone as the ultimate gift! 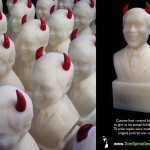 Are you looking for a unique gift to honor someone special? Email or call today and let’s discuss your project!